Alison Nicholas, MBE, is one of Great Britain’s most successful golfers. 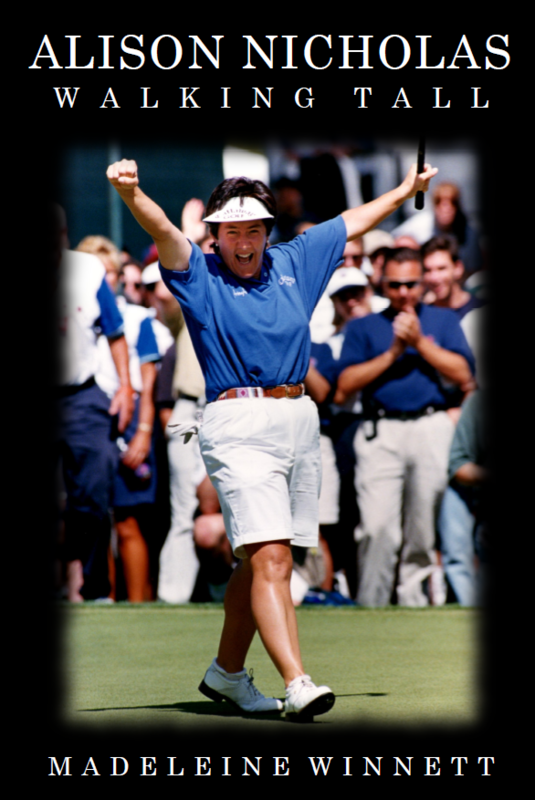 In a professional career spanning more than 20 years, she claimed 18 tournament wins including the British Open, topped the Ladies European Tour Order of Merit and, in 1997, won the most prestigious championship in golf – the US Open. Her aggregate ten-under-par total was, at the time, the lowest recorded in the history of the championship and led to her becoming The Sunday Times Sportswoman of the Year, and the LET Players’ Player of the Year. In turn, Alison is well known for her Solheim Cup exploits. She played in six, and captained the European team to a famous victory at Killeen Castle in 2011. Images of the team celebrating in front of the windswept castle have become iconic. In this candid and entertaining book, Alison explores her years on both the LET and LPGA Tours, the ups and downs, her tournament records, her faith, and – of course – the Solheim Cup. Filled with anecdotes from the other side of the ropes, behind-the-scenes insights, and images from her private photo collection, the book charts the hard work, focus, attitude and good times that led to Alison Nicholas Walking Tall. Madeleine Winnett grew up in Staffordshire with a keen love of sport and horses. She went to Millfield school on a squash scholarship and then rode for Birmingham University before venturing onto the fairways in 1985. It was a love affair which has never died and which led her getting down to a handicap of 2, playing golf for Staffordshire for twenty-seven years and becoming lady captain of Trentham Golf Club in 2011. A successful career as an English teacher eventually led Madeleine back to her beloved Millfield for ten years before establishing herself as a golf writer for publications such as Women & Golf, Fore Magazine, Today’s Golfer and as a columnist for Lady Golfer since 2003. Once dubbed “The Jeremy Clarkson of the golf world”, as an introduction to her alternative career as an after dinner speaker, Madeleine’s satirical first book – Madeleine Winnett Writes Some Wrongs – was published in 2008. Book Categories: Golf and People.